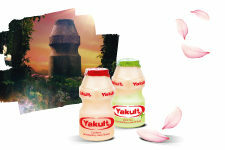 In the ancient hills of Japan hides the home of mystical Yakult, a magical essence distilled from the giant bonsai tree. Do you really believe this myth? Yakult was born in Japan over 80 years ago, not from magic but from a scientific discovery by Dr. Minoru Shirota, a scientist and microbiologist, who in 1935 in Japan, after years of research, was able to isolate and cultivate lactic acid bacteria strong enough to resist stomach acid and reach the gut alive. In his honour these bacteria were called Lactobacillus casei Shirota (LcS). 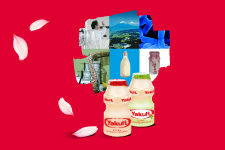 Yakult is not a magical essence, but a fermented skimmed milk drink, with a fresh and delicate taste. The only one that contains, in each bottle, at least 6.5 billion of LcS. Without colourings and gluten, Yakult is suitable for everyone, from children to seniors*, and can be enjoyed at any time of the day . 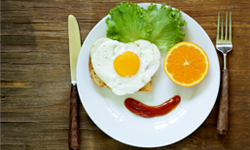 * With the exception of people who are allergic to cow’s milk and children who do not receive yet a varied diet yet. Original or Plus, enjoy your Yakult! Today, there are two different types of Yakult available in Malta; the Original version (in the red packaging) and Yakult Plus (in the green packaging). 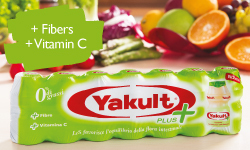 Just like the Original version, Yakult Plus contains at least 6.5 billion of Lcs but, in addition, Yakult Plus contains fibres and vitamin C, which contributes to the good functioning of the immune system*. Yakult Plus has 69% less sugar than Yakult Original and it contains a natural sweetener taken from the Stevia leaves **. 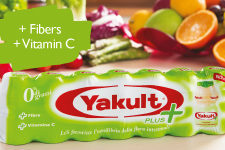 *Within a varied and balance diet and a healthy life-style, a bottle of Yakult Plus every day gives the 15% of the nutritive value of Vitamin C.
YAKULT IS A UNIQUE AND ORIGINAL PRODUCT. DISCOVER WHY. What does 'Lactobacillus casei Shirota' really mean? Lactobacillus (genus): made up of two Latin words “lacto” meaning milk and “bacillus” meaning “small rod”. Lactobacilli are small rod-shaped bacteria, often found in diary products. Casei (species): Latin word for ‘cheese‘ reflecting the association of this species with fermented dairy products. Shirota (strain): this specific strain was named after the Yakult’s founder scientist Dr. Minoru Shirota, the Japanese microbiologist who selected it more than 80 years ago. Why is it named Yakult? 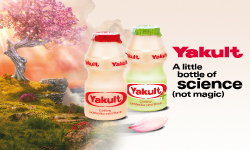 Yakult comes from “jahurto” which in Esperanto means yoghurt. 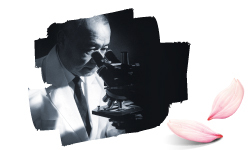 At the time that Dr. Shirota, medical doctor and researcher discovered the strain of the LcS lactic acid bacteria contained in Yakult, it was believed that this new language would become common among all peoples, allowing them to communicate easily. The choice of this name shows how broad the view of the Yakult’s “father” was and his wish to reach as many people as possible.